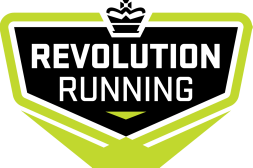 Online.Remote Training is for the member who wants to be part of Revolution Running, but cannot make it to practices or lives outside of our training areas. Join us this summer and fall to take your running goals and aspirations to the next level. You can also use our schedules to help you towards a 5K or 10K goal or simply to have fun, keep fit and enjoy running. You can join the club at any time for a prorated registration fee. 15% of at Runners Roost, Fleet Feet, Denver Run House and more.